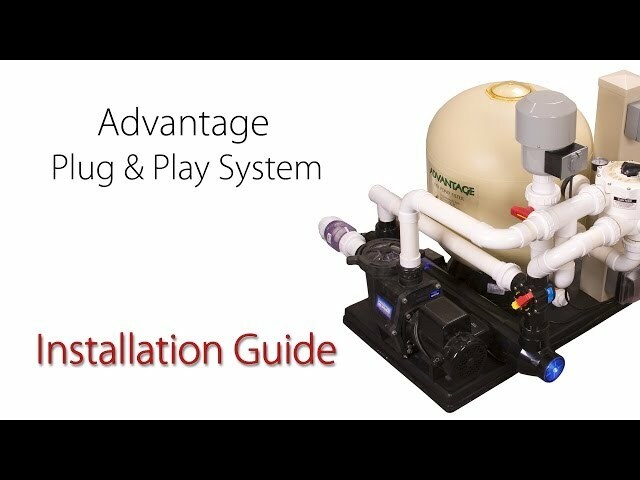 A pre filter is designed to collect solid material such as leaves, fish waste and string algae before they get to your filter. In some small ponds, the and skimmer baskets may be sufficient. 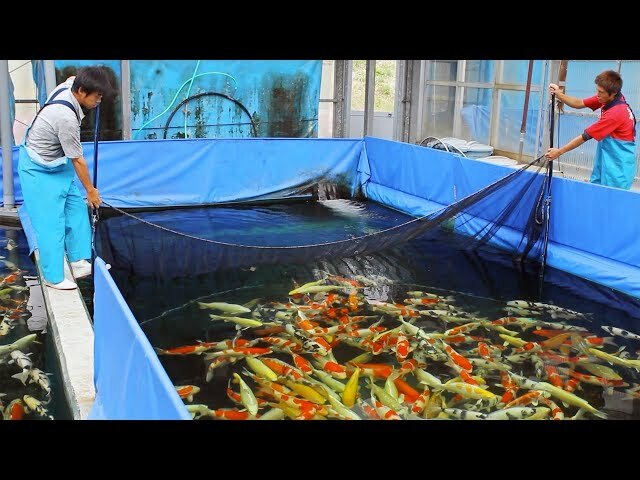 The larger the pond, the more debris will be produced, therefore, the more important they become. 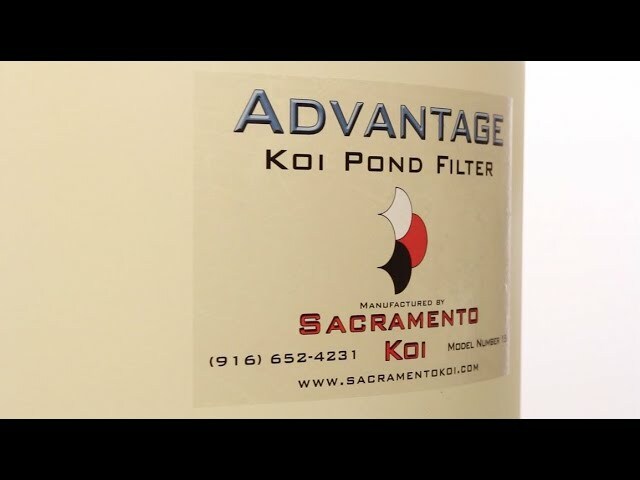 Pre-filters are especially important if you have a filter that is hard to clean such as a gravel type filter, because you usually are only cleaning them once or twice a year. The more waste you can keep out of them, the less often you will have to clean them. 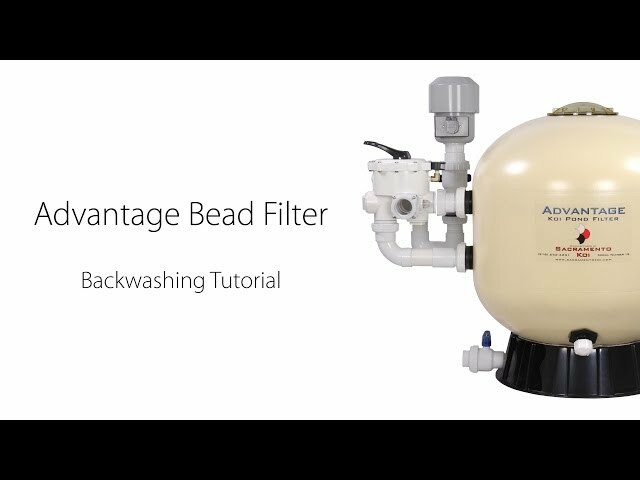 Pre-filters are not nearly as important with a good bead filter because you can easily remove the waste from the filter whenever necessary. A simple holding tank, made of concrete or fiberglass, with rows of brushes or mat material suspended in it to capture debris before it gets to the . A typical tank may be 5 feet square and 2 to 3 feet deep. This type of pre-filter will require you to regularly remove and clean the brushes or mat material. Vortex pre-filters are shaped like a big round tub that is tapered at the bottom. Water enters from the side at an angel which causes the water to rotate in the tub. This causes any debris to drift to the outer wall and then sink to the bottom of the tank where it can be drained out when needed. Clean water exits from a pipe in the center. Vortex filters, can consume a lot of space, may require a large hole to set in and in some situations, a sump to drain them. The Advantage Collector Box is a fiberglass box with a large rigid net in it. The large model has 4 openings, each with a slide valve that allow you to select up to 4 different sources from where the water is to be drawn from. The medium model has 3 openings. 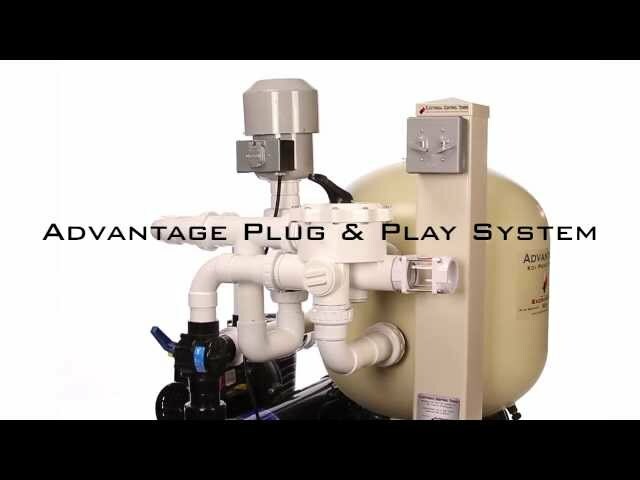 With the valves, you can easily regulate the flow from each source and on occasion, flush one line at a time to reduce the chance of debris collecting in the pipes. It requires the least amount of space and is probably the easiest to clean. It is designed for ponds 6,000 gallons and larger where a large amount of debris is expected to be present.